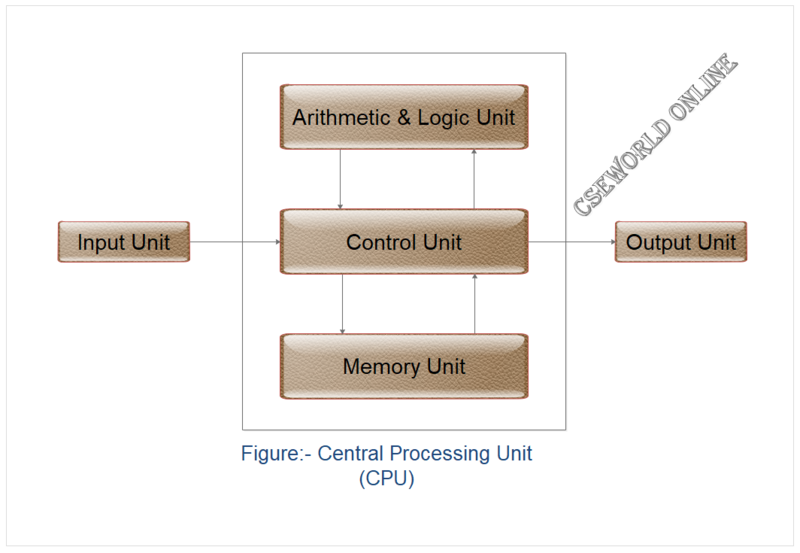 A CPU is brain of a computer. It is responsible for all functions and processes. Regarding computing power, the CPU is the most important element of a computer system. The CPU is the primary component of a computer that processes instructions. It processes the data and produces output, which may stored by an application or displayed on the screen. Control Unit (CU): controls and co-ordinates computer components. Read the code for the next instruction to be executed. Read whatever data the instruction requires from cells in memory. Registers: Stores the data that is to be executed next, "very fast storage area".